First things first: gather your supplies for the shell, using the list above. 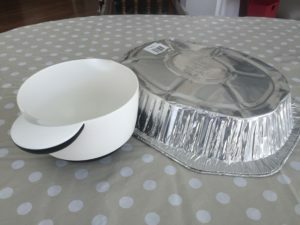 Trim the rim of the top of the pan to approximately a half inch all around and then wrap the edges with masking tape to protect from sharp edges. Use the end of a pencil and your fingers to create a ruffled affect on the edge per the image above. 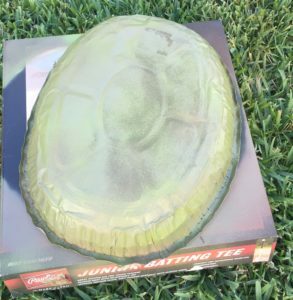 The shell is all set to be painted! Take it outside and spray with all three different shades, lightly misting each layer to the desired effect. There is no right or wrong here — do whatever looks great to you. 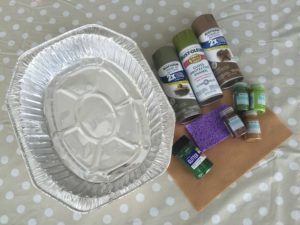 Once the spray paint is completely dry, you're ready to use your craft paint to bring out the pattern on the turtle shell — sponge on different shades of brown and green and accent with paint brush where you see fit. 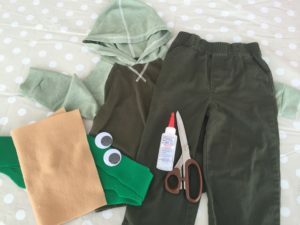 A store-bought hoodie and pants in shades of green work great for this. 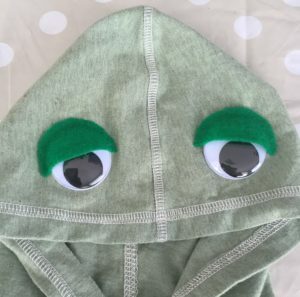 In addition, you'll need the googly eyes, some beige and green felt and very good fabric glue. 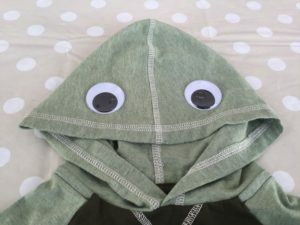 Place and glue the googly eyes on the top of the hood. Use a good amount of glue on the entire back surface of the eyes. Let set. 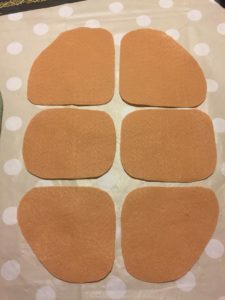 Once the eyes are dry, cut two half circles out of green felt that will cover the eye and leave approximately a quarter inch overhang when placed over the eye. 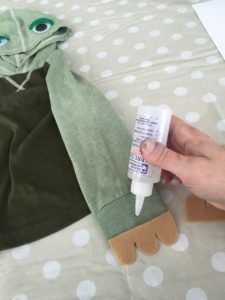 Then, run a bead of glue just on the curved edge and place over the googly eye, pressing the glue to the hood. 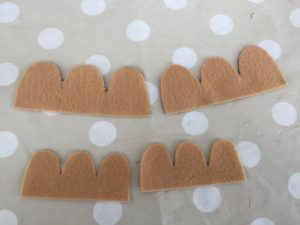 Create the toes and nails using the beige felt. 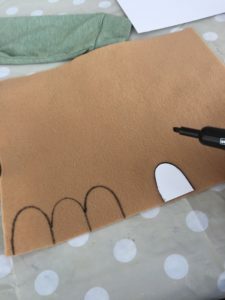 Create a half-oval stencil and trace three in a row for one foot and repeat for other foot. 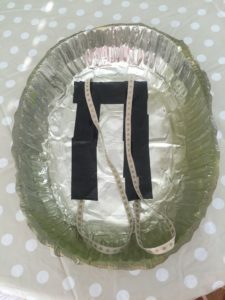 Once the toes are complete, cut the stencil down to create a slightly smaller half oval. Repeat the process of tracing three per hand. Cut out all the toes and nails run a bead of glue along the straight edge and glue nails to the edge of the sleeves and the toes to the hem of the pants. 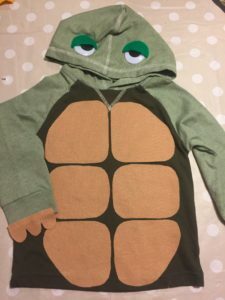 Add the underside of the turtle. Start with a piece felt. Draw the overall shape that you want with a pencil. We used a photo from the internet as a starting point. Cut along the pencil lines and round all the sharp edges. Place on the shirt leaving a gap between all the pieces. 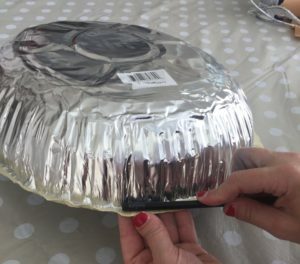 Once all in place, glue down with a fabric glue and let set completely — voila! top is done! 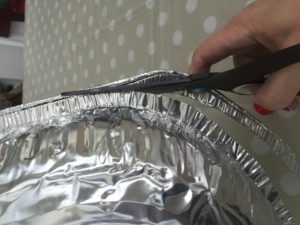 Use ribbon to create backpack-like straps to the inside of the shell. 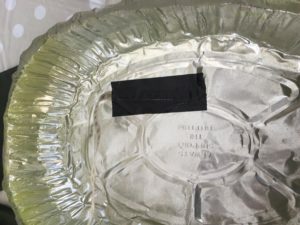 The easiest way to adhere the ribbon to the shell is with multiple pieces of duct tape. 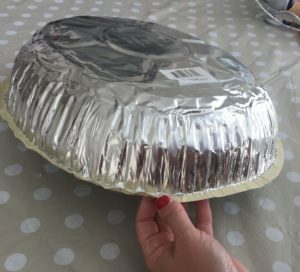 You can dry-fit the length of the strap before duct taping specifically for the child. 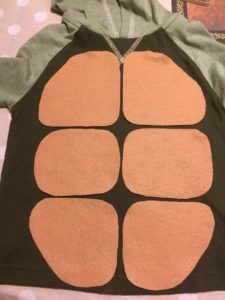 You may need to use a piece of ribbon that matches the shirt to tie the straps across the child's chest to keep the shell securely on. 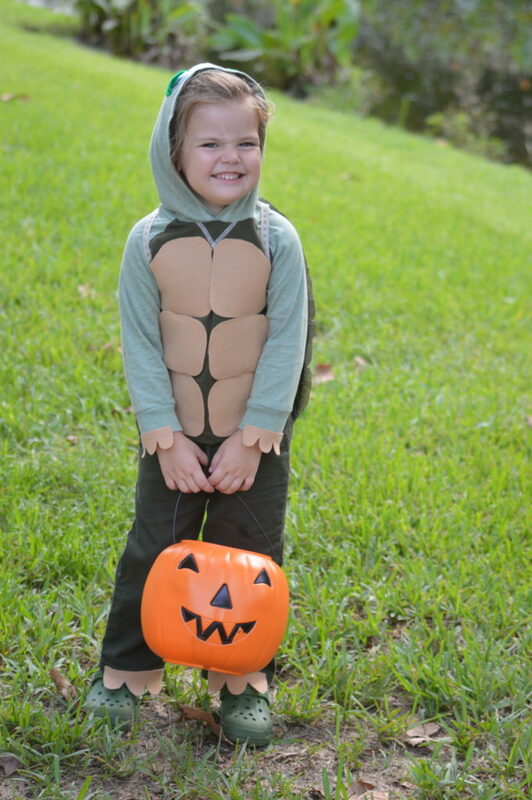 Now you're all set — and ready for some trick or treating!